Following up from my recent post about the pre flight briefing for this flight, here is how I experienced it on the day. On Sunday 5 March after staying the night in a local motel my fellow #avgeek friend and I headed over to the local BMX skate park parking area just south of the airport. From this slightly elevated location we had a good view down the runway and would be able to see the aircraft approach as it headed towards us. 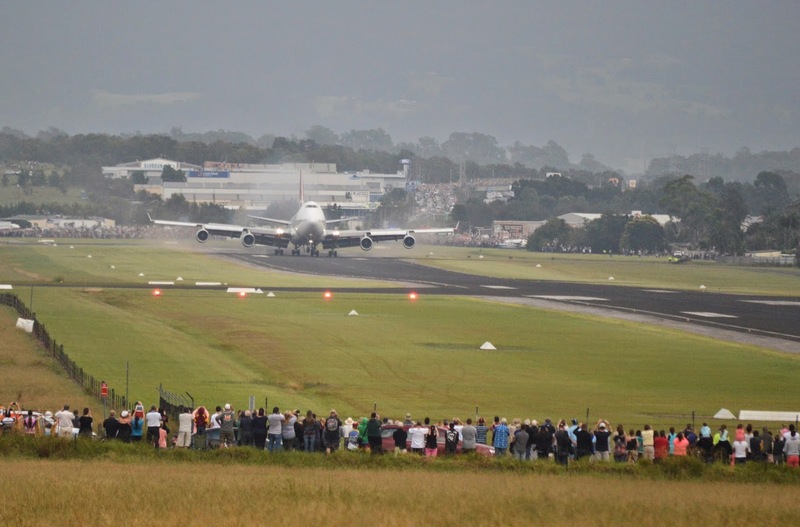 The aircraft was due in at 7.47am and after a pit stop at McDonald's for breakfast we arrived at about 6.20am, and there was already more than 100 people at this viewing spot, with thousands of others gathering at other locations closer to the runway and on the other side of the airport. My friend and I were monitoring ATC and online flight monitoring apps on our phones and we kept curious locals that were around us up to date on the flights progress. We saw VH-OJA on flightradar24 approaching over the ocean with a ground speed of about 360 knots! A few minutes later the aircraft came into view on what was actually quite a hazy morning, not ideal for photography. VH-OJA after 25 years in service made a graceful final landing and came to a gentle stop with plenty of room to spare on the 1800 metre runway. The crowd erupted into cheers of excitement, and with that it was over! 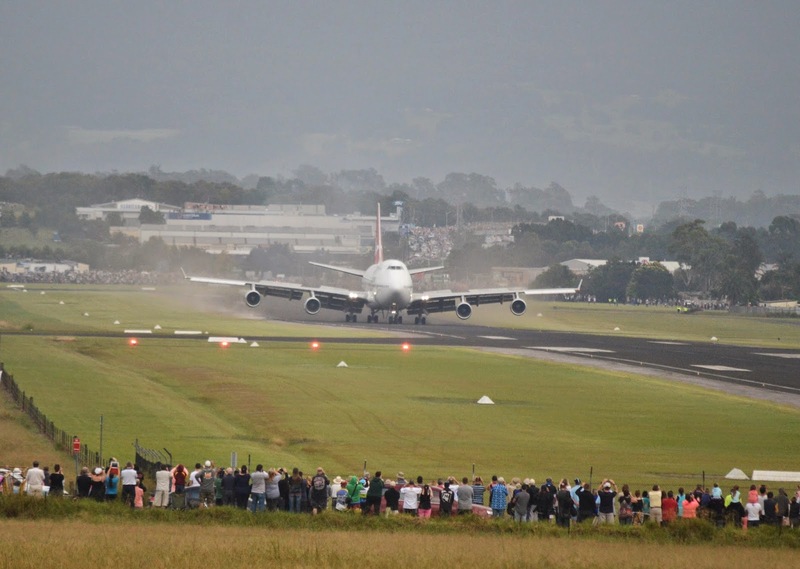 The fire truck followed the aircraft as it passed the intersecting runway and the crew shut down the engines for the final time. Then the tug came and hooked up for the reverse tow into it's final parking position for permanent museum display. It was a great experience and I am really looking forward to taking a tour of the aircraft once it's ready for display at the HARS museum. 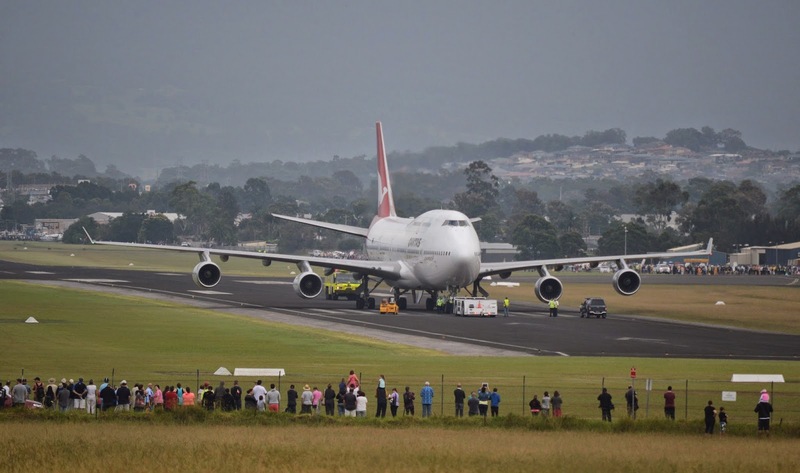 Thanks very much to Qantas for making this possible with their very generous donation of a jumbo jet!